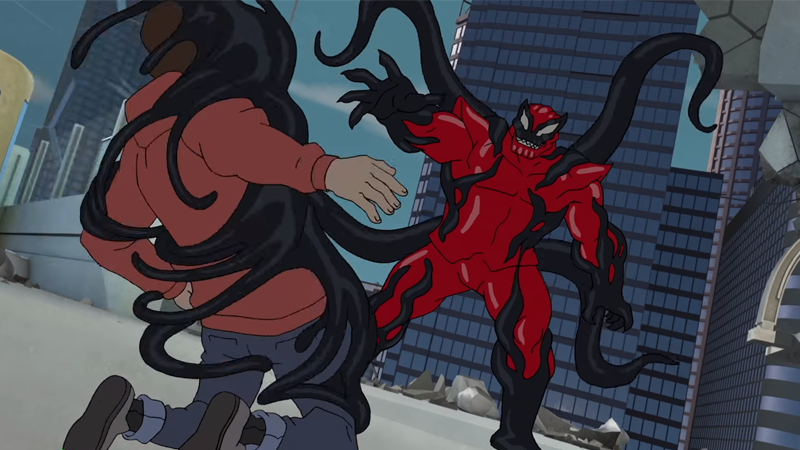 Peter Parker vs Carnage Thanos. Yes, really! 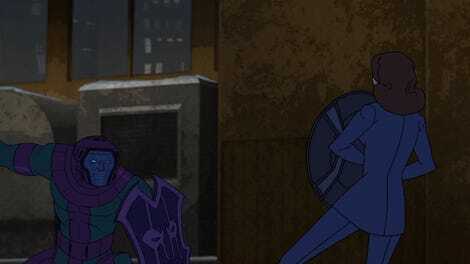 io9 is excited to exclusively debut this new clip from this weekend’s episode of Marvel’s Guardians of the Galaxy: Mission Breakout, which is a crossover with one of Marvel’s other animated offerings, the actually pretty fun Marvel’s Spider-Man series. But this isn’t just an ordinary crossover: It’s got Thanos, the Mad Titan. It’s also got a key piece of Spider-Man comics history. And then it smooshes them together for something totally crazy. Yes, you saw that right. Thanos has the Carnage symbiote. And Peter has to embrace the Venom symbiote in order to fight the Mad Titan, and gain his iconic black-and-white spidey suit from the original Secret Wars in the process! The fact that the young web-slinger is fighting alongside Rocket Raccoon and Star-Lord is just icing on the cake. Bet you won’t see anything anywhere near as wild as this in Infinity War. “Drive My Carnage” airs this weekend on March 25 at 8:00AM, on Disney XD.